Five deities are enshrined together in the main shrine building. The building is made in a style called Uchikoshi Nagashi-zukuri, with corridor-style decorations and 10.6m-high walls on either side. All of the buildings and towers in the precinct were burned down in the Onin Rebellion in 1468. A temporary building was planned and donations were collected, allowing the main shrine building to be rebuilt in 1499. The building is large by shrine standards, with decorations expressing the cheerful, elegant and graceful style of the Azuchi-Momoyama period in the late 16th century. 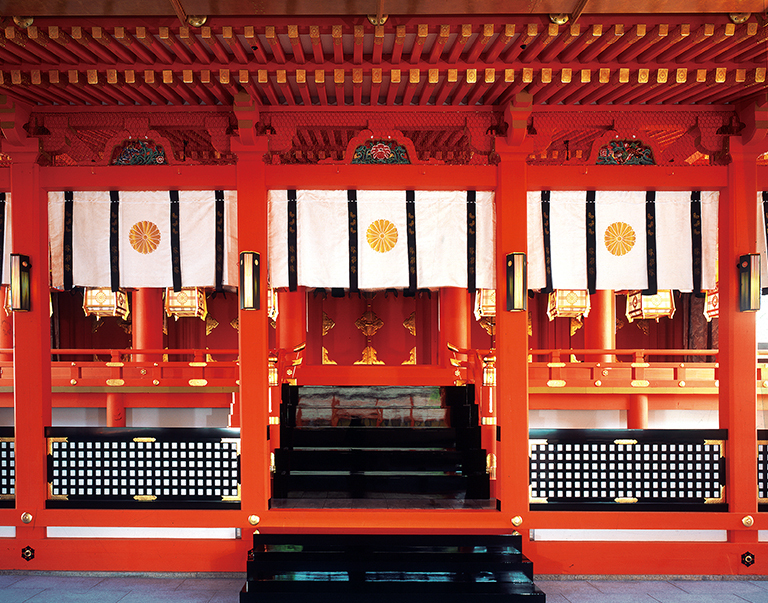 These include konpukurin (gold-edged hanging features) with kegyo roof plaques, tarukibana (metal decorations covering the points of the wooden eaves), and kaerumata (split-bottom beams) attached to the pent roof of the shrine. 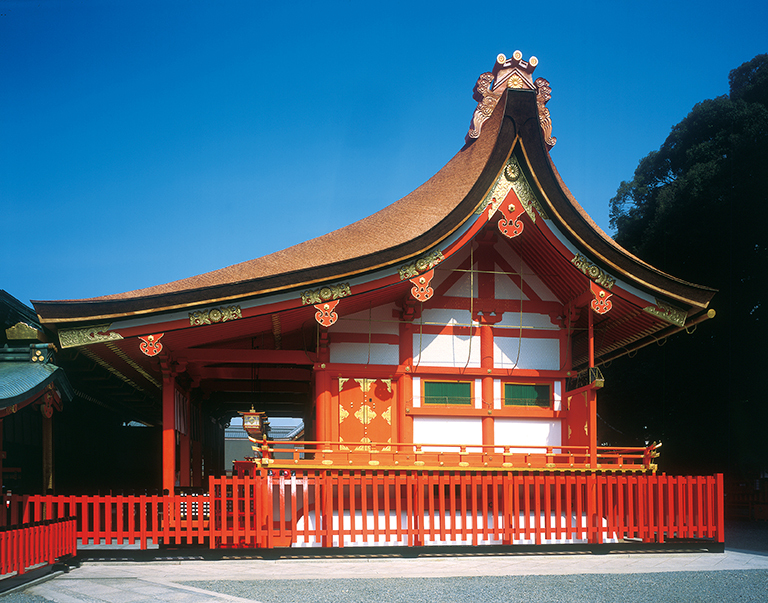 The main shrine building is designated as an Important Cultural Asset.